Borneo is probably one of my favorite places on Earth. It has so many things to offer: amazing scuba diving, adventurous jungle trekking and, of course, some of the most beautiful mountain hiking. I’m talking about climbing gorgeous Mount Kinabalu. Located in the Sabah state in eastern Borneo, it’s easier to first reach Kota Kinabalu town. From there you can take a local bus or a small minivan (sharing with friends is cheaper), and within a couple of hours you’ll be right at the entrance to Mount Kinabalu National Park. 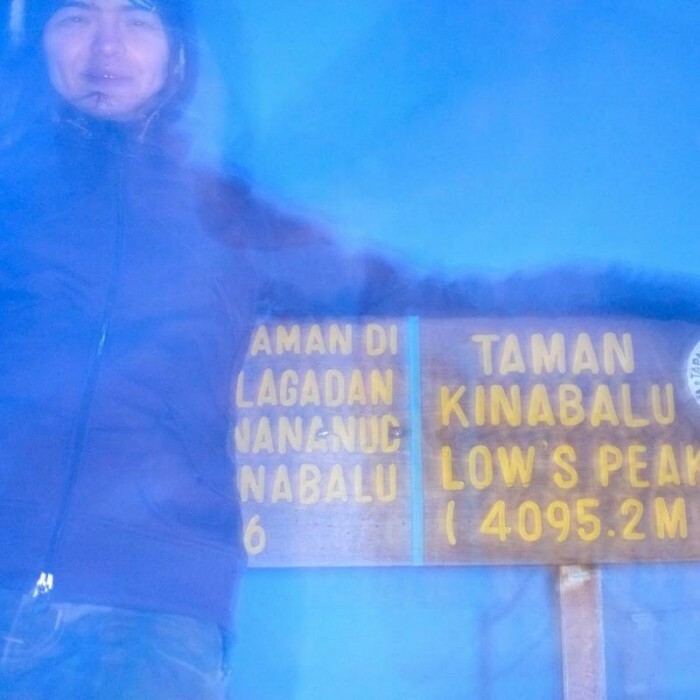 In total, you need two days to do the summit and come back to Kota Kinabalu. If you take an early bus on day 1, you’ll reach reception before noon. There you must register, buy your permit, take a porter (if you need one), and find a guide (it’s compulsory, so it would be cheaper to share with other climbers). And finally your adventure begins! Your Mount Kinabalu trail begins at the Timpohon Gate (6 km). You’ll hike through one of the most beautiful rainforests on earth and witness the stunning changes in the landscapes on your ascent. If you’re lucky enough, you’ll see some monkeys, orangutans, birds and other charming creatures. The way up has 8 stops. It depends on your trekking skills and physical endurance, but on average people tend to arrive at the overnight camp about 5-6 hours after starting. Some people try to get there as fast as possible and then rest, while others make regular stops for snacks and water along the way. I personally prefer the latter way, so I can enjoy the trail without overworking myself too much. The way down is much easier and faster. You may want to use your walking poles if you have them, as it will make your knees feel much better the next day. However, I personally didn’t have them and it was fine. You will finish and be at the park entrance by noon. With your entrance ticket, you will have received a voucher for lunch at the local cafe. Be sure to use this, since it will take another few hours (due to traffic) to get back to Kota Kinabalu town. 1. Bring water! It’s highly important to stay hydrated during climbing, since you’ll be sweaty all the way up. 2. Don’t forget a very good headlamp, torch and extra batteries. 3. I also recommend having some outdoor gloves, because somewhere on the climb there is a rope which is wet and dirty, and it’s much easier to grip it when wearing gloves. 4. The part of the trail with the rope is the hardest one, due to not getting enough sleep and the sharp change in pressure. Thus, it makes sense to have your altitude sickness pills. 5. Regarding what to wear, I’d recommend a shirt, light windbreaker jacket (men, women) and maybe a simple beanie. I also had a thick hoodie, just because it’s easy to put it on when necessary. 6. Trekking poles might be of use on the way down, so you won’t feel sore the next day. 7. A rain poncho is a must if you climb during the rain season. 8. Hiking boots (men, women) or jungle boots with good ankle support would be the best option for footwear. 9. And don’t forget your enthusiasm, you’ll need it!